It is not unusual to have to stop and change lathe tools several times while turning a part on the lathe. 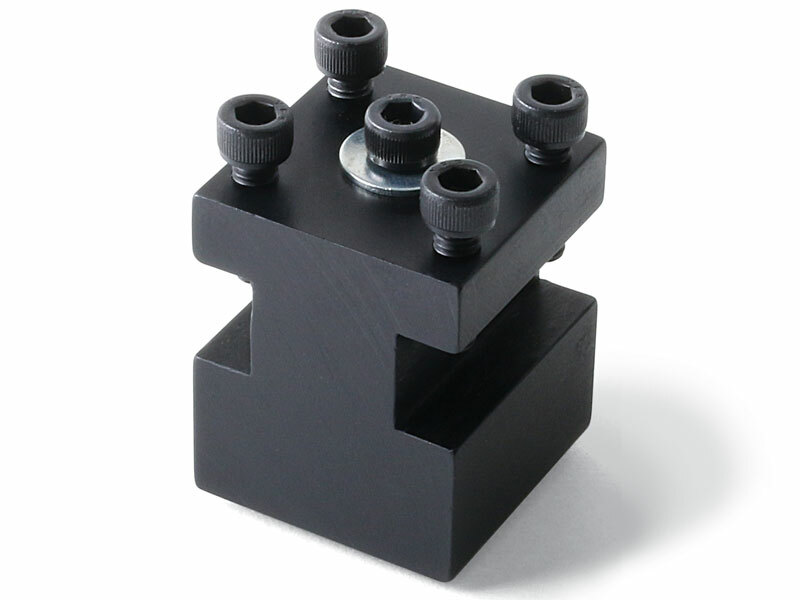 The change may be to switch from a left-hand tool to a right-hand tool, from a sharp-nosed tool to a radiused tool, or from a roughing tool to a finishing tool. Whatever the reason, each change requires a little setup time. This time can be reduced by using a two-position tool post. 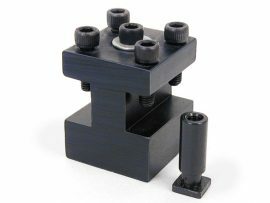 Each Sherline two-position tool post mounts two lathe tools. 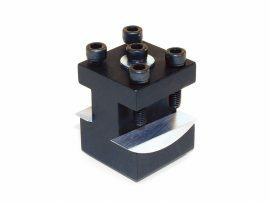 By having one or more of these tool posts with your favorite lathe tools pre-mounted in them, you can simplify your work and reduce the time required to change tools. 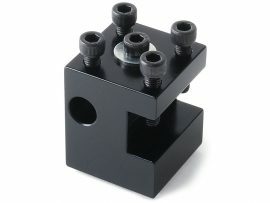 This tool post holds two 1/4″ square tool bits. 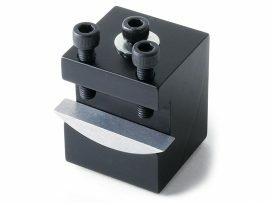 A similar two-position tool post is designed to hold a 5/16″ (8 mm) square tool bit on one side, and a 3/8″ (10 mm) square tool bit on the other side.